This limited production SOG Fatcat FC-01 is a gem, a mighty big gem. The largest and most massive folder ever produced by SOG, the Fatcat is a real eye catcher. 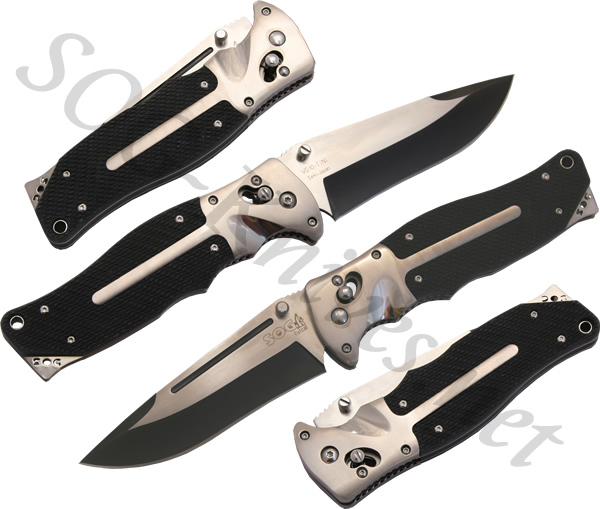 It's VG-10 steel dual finished satin and black TiNi blade opens easily and is held in place with SOG's Arc-Lock system. 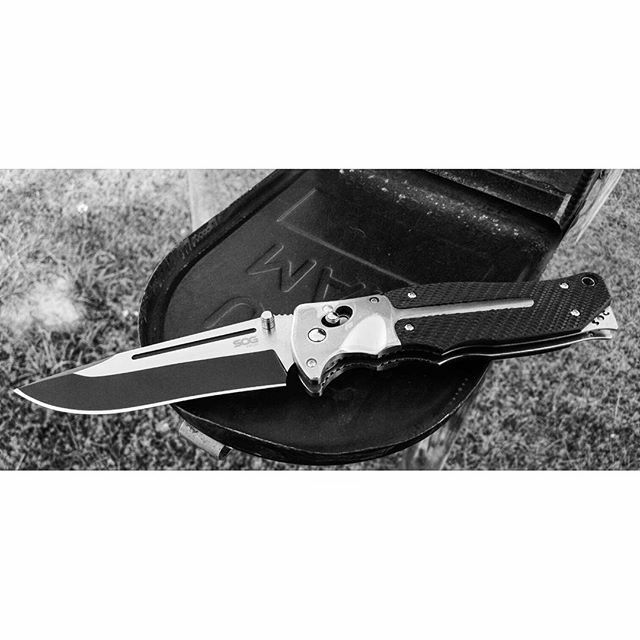 This knife comes complete with a heavy duty nylon case with belt clip. The solid machine titanium handle and kraton grip lends its hand while one experiences the sheer quickness and ease that this big knife has. Own a SOG Fatcat Knife FC-01? Tell us how you like it! Got a question? Ask! Somebody will answer!